If you were hoping to take an Apple car for a spin any time soon, you might want to put those funds towards a nice sensible hatchback instead. A new report suggests drastic changes to Apple's automotive plans that see its fabled own-brand car all but shelved. According to Bloomberg, the so-called Project Titan team is transitioning from building a full vehicle to an autonomous driving system instead. It follows a period of turmoil for the project according to people familiar with the matter, which has seen management disagreements lead to overhauled product roadmaps and hundreds of employees either being let go or leaving Apple. Apple's Project Titan, though never publicly acknowledged by Apple, is said to have kicked off in 2014, with the bold ambition to shake up the automotive industry in the same way the iPhone rocked mobile communications. Original plans saw Apple aiming to build a vehicle that could be unlocked by a fingerprint and navigate to a destination with a single button press by a passenger. However, with margins and supply chain issues less favorable than what Apple has become accustomed to in the mobile space, it's been a challenging task. 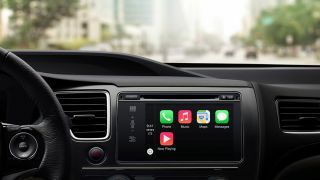 Shifting focus to a platform rather than a full vehicle makes sense - it let's Apple play to its computing strengths, selling into established car manufacturers while avoiding the risk associated with car manufacturing. And, should Apple's autonomous car platform prove a success with partners, there's still the opportunity at a later date to integrate it into on-the-road hardware of its own. According to Bloomberg, the car team now has until late next year make a viable car product before a final direction is settled on or, presumably, the project is canned entirely.